At Sporting Chance Press we started publishing sports books and in the end the way we defined the company as one that “promotes the good.” Today, that may seem rare, not only with companies, but with institutions. At Sporting Chance Press, we have a book called The 10 Commandments of Baseball that focuses on baseball principles that are excellent teaching points for life lessons. After that book, we started to publish our Sports and Faith Series which not only promoted the good, but does it with a strong faith component. Chicago Bears Vice President Patrick McCaskey has authored the Series, which includes our latest book called Worthwhile Struggle. Each book provides stories of high school, college, and professional athletes who live emplary lives. And each book gives readers insight into McCaskey’s Catholic background and his family’s tradition of living the faith-based life. The Sports and Faith Series often examines the good that is being done in athletics. We don’t always see the good, but certainly a great example was the spirit and faith on display in the Loyola University basketball team last year with Sister Jean. 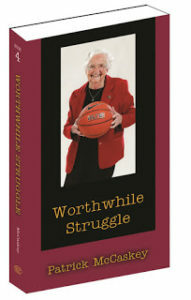 Sister Jean’s story graces our Worthwhile Struggle. Another institution that focuses “on the good” is our public libraries. In some ways it is a story that those who are growing up in the digital age may not see. If you don’t walk into a library, you cannot experience all the good that is going on there. Libraries were being built in all types of communities with the involvement of great people from our past (Carnegie in many cases) and investment by the public. Libraries are also places where good people work who are interested in education, increasing literacy, helping citizens gain more knowledge, and proving “a window to the world” long before it became a slogan for PBS. Libraries are about public service and community outreach. A hundred years ago many people could not even afford a book! The libraries provided access. Now many libraries provide extensive services that patrons could not afford on their own. Even small libraries with small budgets often link into systems that provide services their patrons could not have imaged a few decades ago. And much of the work that libraries do is still about helping our children of all socioeconomic backgrounds have access to great things. Talk about “promoting the good,” it doesn’t get much better than that. And when you go the libraries’ Facebook pages or home webpages, you will often see photographs of kids engaged in all kinds of creative activities. 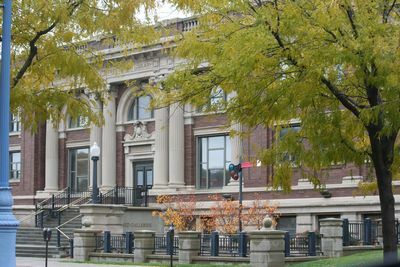 Image is Council Bluffs Original Library where I used to go to read during certain summers many years ago.